Have you waited for the 2013 Spring Teas for a long time? TeaVivre bring you the 2013 Spring tea at the first time. Orders over $60 (exclude shipping fee) will get our 5 selected 2013 Spring Tea samples for free, the free sample will be directly included when we deliver your order. This year, TeaVivre brings you this Organic Nonpareil Ming Qian Dragon Well Long Jing Green Tea. 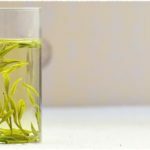 Nonpareil grade, 100% certified organic green tea, this Organic Nonpareil Ming Qian Dragon Well Long Jing Green Tea is TeaVivre’s highest quality Long Jing provided to tea lovers. This year, TeaVivre brings you this Nonpareil Te Gong Huang Shan Mao Feng Green Tea. Te Gong refers to two Chinese words: 特(tè) and 贡(gòng). 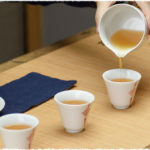 特 is short for 特级, which means the tea’s grade is nonpareil; while 贡 is short for 贡品, meaning that the tea was used to be paid as tribute to the emperor. Superior grade, 100% certified organic green tea, our Organic Superfine Dragon Well Long Jing Green Tea is handmade in Hangzhou used traditional methods. Liquor presents tender a yellowish green color, tastes sweet and brisk; aroma lasts long in the middle and back part of the tongue. 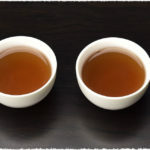 Made only from tea leaf tips in an involved process that results in it having a tight rolled up shape, Bi Luo Chun is renowned for its strong fruity aroma and mellow flavour. Our spring picked Xinyang Maojian green tea is distinct amongst other green teas, with its leaves having a darker color and it is having a stronger, more robust flavour.